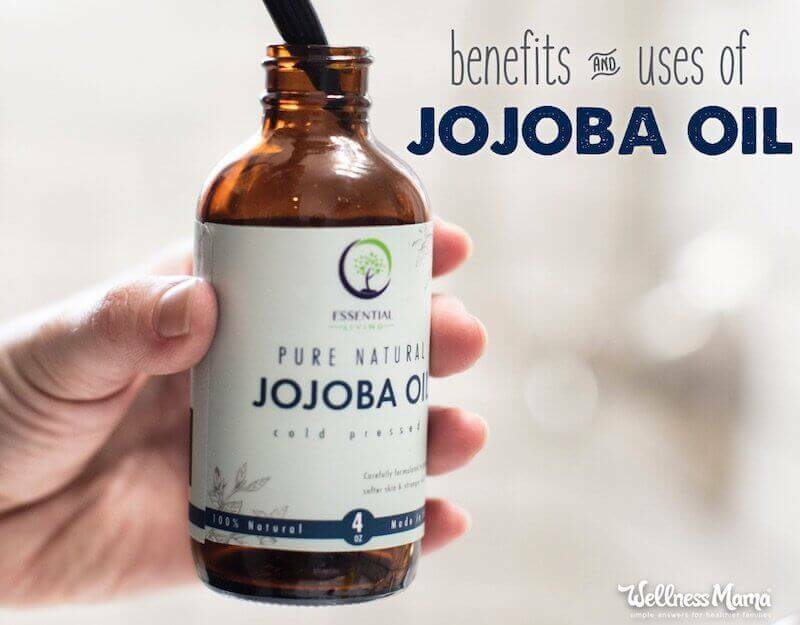 I’ve used jojoba oil for years in my homemade lotion recipes among other personal care products, so I’m well aware of the amazing moisturizing benefits of jojoba oil. But there are many more benefits than as a simple (but amazing!) moisturizer. Jojoba (pronounced hoh-hoh-bah) is a liquid wax that closely resembles the natural oils of the skin (sebum). That’s right, jojoba oil isn’t an oil at all but is actually a liquid plant wax. This amazing oil comes from the seed of the jojoba (Simmondsia chinensis) plant. This plant is native to hot arid areas of the U.S. including southern California and Arizona, as well as some parts of Northern Mexico. Jojoba is best known for its moisturizing properties. It draws moisture to the skin and adds moisture without feeling greasy. It also helps the production of the acid mantle, balancing the pH that protects skin from harmful bacteria. Incredibly stable compared to other vegetable oils, jojoba won’t go rancid easily. It’s also odorless. That means jojoba oil is a smart choice for cosmetics and health and beauty products. Though Native Americans used it to treat skin sores and wounds and probably much more, modern societies have only been using this jojoba since the 1970s. For roughly 100 years, sperm whales were hunted for the semi-waxy oil found in their head. 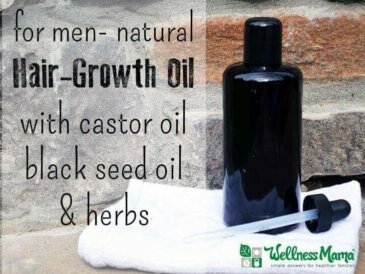 This oil was used for everything from cosmetics to oil lamps to industrial lubricants. When these whales became endangered in the 1970s, whaling was outlawed and jojoba oil became more popular. Jojoba oil is a similar waxy oil with similar composition, making it an excellent substitute for whale oil. It can be harvested without killing an endangered animal, so there’s that too. Today, 40,000 acres of desert land in the southwestern U.S. is used to cultivate jojoba plants for their oil. Because few other in-demand crops can be grown in the same climate, jojoba cultivation is good for the land (if done sustainably) and the communities in those areas. 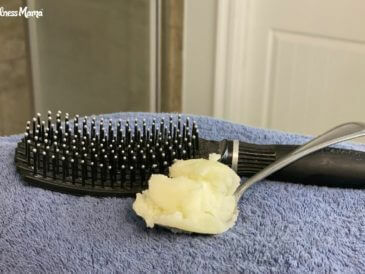 Jojoba oil is an excellent moisturizer which is why it’s an ingredient in so many cosmetic products, but there are other benefits to this desert wax. Jojoba oil has many (sometimes surprising) uses making it a great oil to keep on hand. As mentioned, jojoba oil is an amazing moisturizer and absorbs into the skin much the way natural sebum does. Because it resembles natural sebum and helps regulate oil production, jojoba is great for oily, dry, and normal skin (or for those times when the skin is all three at once!). 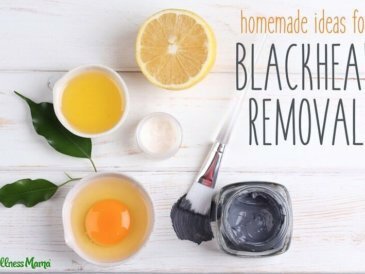 Add it to homemade cosmetics or use it alone for dry skin patches or to balance the oil on the face. Jojoba can also be used on cuticles, wrinkles, and stretch marks! Because jojoba is so close to sebum and doesn’t clog pores, it’s an excellent way to remove makeup without drying out the skin. Place a few drops of jojoba oil on a cotton ball and swipe on skin. 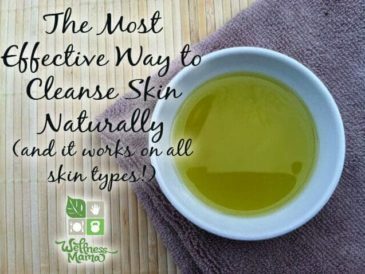 Doing this before cleansing can help the cleansing method work better. It may seem strange to put oil on oily skin but it works. Like oil cleansing, jojoba oil works in two ways. First it works by clinging to oils and sweeping them away. It also works by hydrating the skin so that the sebaceous glands (the glands that make natural sebum) don’t go into overdrive. When skin is dried out from overwashing, the sebaceous glands compensate by producing more sebum. Obviously, this can cause a vicious cycle of oily skin. Jojoba oil helps regulate sebum production, reducing oil and balancing the skin. Because it’s so moisturizing, jojoba oil can be used as a lip moisturizer. It’s a common ingredient in homemade lip balms but can be used on its own as well (who hasn’t run out of lip balm in the middle of a dry winter). For a quick DIY lip balm, melt some cocoa or shea butter with jojoba oil and cool in lip balm tins or tubes. Skin conditions like eczema and psoriasis are often accompanied by dry skin and inflammation. Jojoba works well to hydrate the skin as well as reduce inflammation. It can also help fight the fungal infections that often arise from eczema and psoriasis rashes. Jojoba is versatile and healing. For frizzy hair (ever seen toddler bedhead? ), jojoba oil can hydrate and smooth the hair shaft. It can also help treat dandruff when massaged into the scalp while shampooing. This moisturizing oil is great for keeping dry baby hair from getting too tangled (at least until the next haircut!). 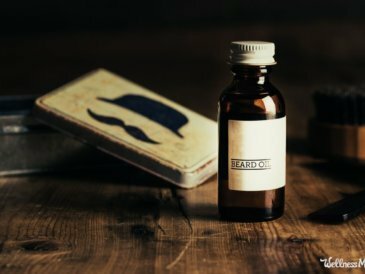 For the men in the family, jojoba can also work wonders as a beard oil. It’s generally not a good idea to use oil on sunburns as it can trap heat inside, but jojoba is technically a wax so it doesn’t cause the same concern. Wax like jojoba or beeswax can actually protect the skin while it heals. Jojoba contains vitamin E which can help heal the skin from sunburn while it protects it. It also helps reduce peeling. Cover the burn with a few drops of jojoba as needed. Jojoba is an amazing anti-fungal oil that can help treat and prevent the blemishes and fungal infections that happen most often on the feet — Athlete’s foot, warts, and toenail fungus. Use a few drops 2 to 3 times a day. Since jojoba is healing and safe, it’s a great choice for the little ones in the family. Use a few drops on an infant’s cradle cap to fight the bacteria that causes it. Adding jojoba to the bath water is another easy (and complaint free) way to hydrate their skin. This moisturizing oil is also great for massaging. Sometimes babies and kids just need a bit of relaxing time with Mom or Dad to process the day. Mix a few drops of essential oils and use as a relaxing massage oil. Just be sure to only use safe essential oils for kids and babies (or leave them out all together). 100% organic – The skin is the biggest organ of the body and everything that goes in it is absorbed to some degree. cold-pressed – Cold pressing ensures that the oil doesn’t lose any of its beneficial properties. 100% pure – Don’t pay for an oil that is cut with other oils or low quality refined jojoba oil. Make sure the jojoba oil you buy is 100% (cold-pressed) jojoba oil. What is your favorite way to use jojoba oil? Share with me below!